With the 43rd WSOP underway, the countdown to the biggest poker tournament ever scheduled is on in earnest. The largest buy-in poker tournament ever conceived, with a $1,000,000 entry fee, is slated to take place from July 1-3 at the Rio All-Suite Hotel & Casino in Las Vegas. Less than one month before the exciting moment, ONE DROP Chair and Cirque du Soleil founder Guy Laliberté has announced the following list of player commitments for this historic event at the 2012 World Series of Poker. John Morgan (Winmark Corporation CEO) will join poker pros Eugene Katchalov (USA), Jens Kyllönen (Finland), Jason Mercier (USA), David Peat (USA), Vivek Rajkumar (USA), Andrew Robl (USA), Nick Schulman (USA), Noah Schwartz (USA), Roger Teska (USA) and Sam Trickett (UK) along with a third Hedge Fund Manager who prefers to remain anonymous at this stage. 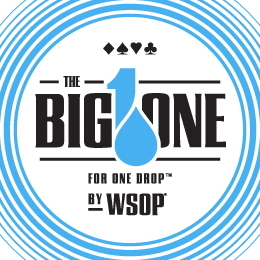 Confirmed players have secured their entry to the BIG ONE for ONE DROP via advance deposits. Some players have requested and the World Series of Poker will respect a players right to remain anonymous prior to the tournament, so publicity doesn’t impact their personal and professional matters. Carlos Nahas will take his seat in this prestigious event after winning the Loto Quebec/Casino Montreal satellite seat that was previously announced. Nahas’ friend Keith Hamilton had originally won the right to participate in the final satellite step, which was a poker tournament at Casino Montreal. However, Hamilton had initially won his step seat via a slot tournament. 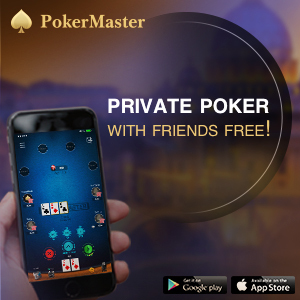 Unfamiliar with the game of poker, he had his friend Nahas play the poker tournament for him. Giovanni “Malibu” Guarascio has been confirmed as the player for what had previously been listed as the “Montreal private citizen group (Sean O’Donnell)” while Frédéric Banjout, previously listed as “Anonymous French Businessman” is also confirmed. Others confirmed for the event include Andy Beal, Arnaud Mimran, Bertrand “ElkY” Grospellier, Bobby Baldwin, Bob Bright, Cary Katz, Daniel Negreanu, Daniel Shak, Erik Seidel, Gus Hansen, Guy Laliberté, Johnny Chan, Jonathan Duhamel, Justin Smith, Patrik Antonius, Paul Newey, Paul Phua, Phil Ruffin, Richard Yong, Tom Dwan and Australia’s Tony Guoga. The prize pool is projected to exceed $35,000,000, with the winner to walk away with an eight-figure prize – the largest amount ever awarded in a poker tournament, breaking Jamie Gold’s $USD 12 million haul at the 2006 World Series of Poker Main Event. • Local players have a shot at joining this historic event via Crown’s Ultimate Vegas Bracelet Chase. The highlight of this promotion is on Saturday, June 23 when the Crown Poker Room will be packed for a free to enter Mega-satellite (with $10 rebuys). Action resumes on Sunday, June 24 with day 2 which will also be open to new players who can buy-in directly for $550, with a $200 bonus add-on available to all.